The ‘mobile revolution’ also helps research by circumventing infrastructure problems. Many might ask: There is research in Africa? Oh yes, the number of scientific papers produced by Africans has tripled in the past decade, to over 55,400 in 2013, according to a Reed-Elsevier statistic. Also, African universities and libraries have a history stretching over more than a millennium, like the Al-Azhar University in Cairo, founded in 975, for many centuries the most important Islamic university. Only seven years after Al-Azhar, the famous University of Timbuktu was founded, teaching about 25,000 students from Africa and Mediterranean countries in the 11th century. 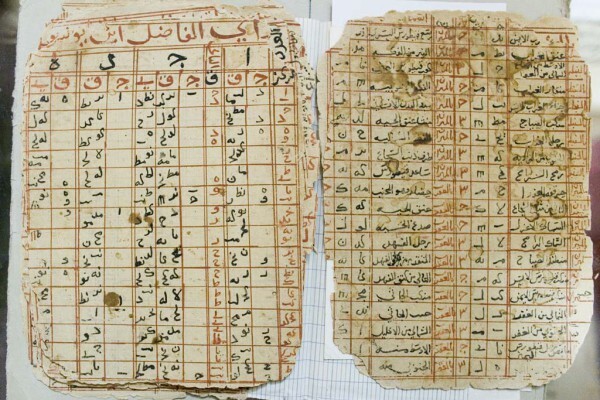 The famous manuscripts of Timbuktu tell us tales of this unique period in African history. 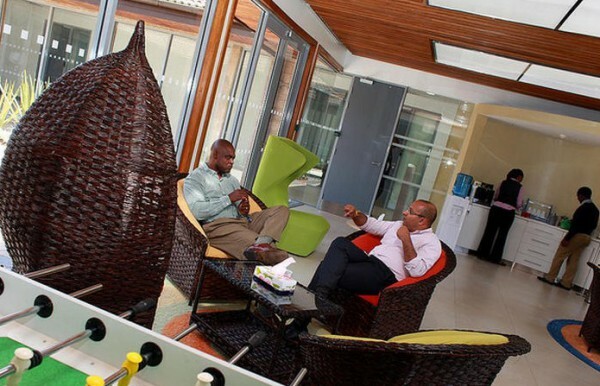 But not all success stories are in the past: in 2013, IBM opened a new research lab in Nairobi, Kenya’s capital. Researchers here work on inexpensive solutions for African problems, like transport in the continent’s megacities: in an experiment, they analysed traffic jams in Nairobi with the help of webcams and programmed an algorithm to avoid them. With 70 percent of the adults in Nairobi carrying cellphones, they can easily receive this information, and cellphone movements can be used to create the data in the first place. “We want to help train Africans to innovate in Africa,” says Dr. Osamuyimen Stewart, a senior engineer from Nigeria, who used to work in the IBM lab in Hawthorne, NY, and now is the chief scientist in IBM Research, Nairobi. Africa’s ‘mobile revolution’ is already changing the continent: with the help of cellphones, producers and consumers alike can bypass the often lacking infrastructure. For instance, farmers now receive information about real-time market prices via cellphones, or patients can consult doctors across many miles of unpaved road. 14 years ago, Cecilia Ciepiela-Kaelin introduced an SMS messaging service of real-time market prices for fishermen in Uganda, a cooperation between South Africa’s MTN telecommunications provider and Grameen Bank from Bangladesh. Currently, the market share of smartphones increases at an annual rate of almost 20 percent, and the new users mostly are from the rising African middle class – a very attractive target group. Google started the ‘Africa Android Challenge’, an award for the best mobile apps from Sub-Saharan Africa, reaching from entertainment to agriculture, healthcare and beyond. In the past, many African researchers left their continent to work in the US or Europe, like Nobel Laureate Max Theiler, who was born in Pretoria and started his medical training in South Africa, but built his career in the UK, and later the US. In 1951, he received the Nobel Prize in Physiology or Medicine for his development of a vaccine against yellow fever. New research facilities, like the IBM lab, are supposed to stop this ‘brain drain’ and even bring some experts back to Africa, like Dr. Stewart, and they also offer employment opportunities for African graduates. The traditional fields of research in Africa are agriculture and healthcare: four of the 15 CGIAR agricultural research centres (Consultative Group on International Agricultural Research) are located in Africa, two in Nairobi, one in Nigeria and one in Benin each. And, naturally, many tropical diseases like malaria that affect African patients most are best studied on site. Typically, these traditional research projects were joint projects, cooperations between researchers from developed countries and their African counterparts. There are countless projects in medicine and healthcare alone, and many do excellent work, like Peter Agre’s cooperations on malaria research, or the Centre for the AIDS Programme of Research in South Africa (CAPRISA) based in Durban. Its director, Salim Abdool Karim, also is professor for clinical epidemiology at Columbia University, NY. But in some other joint projects, African researchers are not satisfied with their role – they claim that they were often reduced to mere technicians or helpers. Now, African researchers are speaking up about some Western scientists stealing blood samples, results and even the credit for these results. A Geneva based Council on Health Research for Development (COHRED) recently developed a label for fair partnerships in international health research. On the other hand, many local researchers agree: As long as there is insufficient state funding for research in Africa, there is no way around international partnerships. One innovative example is the Alliance for Accelerating Excellence in Science in Africa (AESA). “It’s weird that for 40 years, the agenda-setting and the funding decisions for research in Africa has been done from London, Seattle, Geneva or wherever,” says Kevin Marsh, a clinical epidemiologist at the University of Oxford, and senior adviser on the AESA initiative. For instance, the Wellcome Trust plans to transfer its £40 million leadership programme to AESA, it works with competitive grants. The Melinda and Bill Gates Foundation is one of the main AESA sponsors. If AESA manages grants and funds, the national African states don’t have to set up their own funds and train their own grant managers – governments often have other priorities, and administrations in some countries are not trained to handle research funding. African science is also strongly represented at this year’s 65th Lindau Nobel Laureate Meeting, starting 28 June. More African young scientists than ever before will be attending, 35 of the 650 outstanding students and post docs come from the African continent. The newly created “Horst Köhler Fellowship Programme”, named after the former German Federal President, enables their participation. Apart from that, there will also be a press talk on “African science: today and tomorrow” on June 30th, with Nobel Laureates Francoise Barré-Sinoussi and Peter Agre, along with young scientists from African countries.